Ohio Gov. John Kasich's administration wants to transition the state to a more conservative Medicaid expansion program that would allow it to drop adult beneficiaries who don't pay into a health savings account, regardless of their income. In his 2015 budget proposal, Kasich, who is running for the Republican presidential nomination, suggested assessing premiums for adults above 100% of poverty. GOP state lawmakers last summer passed a bill to have the requirement apply to all program beneficiaries. Pundits aren't sure that will help Kasich win votes among those in his party who did not approve of the governor's decision to expand Medicaid in 2013. Last week, his administration posted a summary of a waiver the state plans to submit to the CMS for approval. Under the plan, modeled after Healthy Indiana Plan 2.0, Medicaid beneficiaries above and below the poverty level must contribute monthly to an HSA. The amount would be equal to 2% of their income, but could not exceed $99 per year, or $8.25 per month. The waiver isn't likely to be approved, since HHS has yet to OK a waiver that allows individuals below the federal poverty level to lose coverage for not paying into an HSA. The full waiver will be posted for public comment April 15, with the docket closing May 13. A public hearing on the waiver will be held April 21 in Columbus, Ohio. The state is seeking a Jan. 1, 2018 implementation date for what it's calling the Healthy Ohio program. 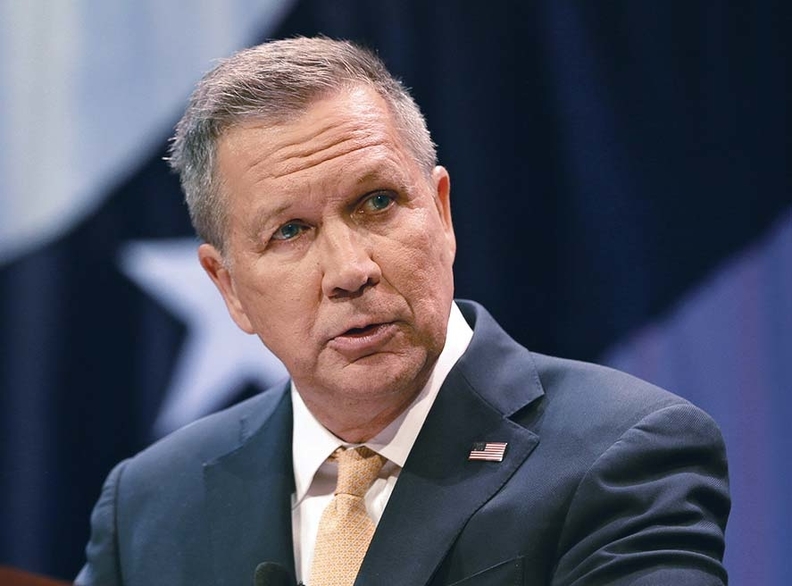 On the campaign trail, Kasich has faced considerable criticism for his 2013 decision to bypass the state Legislature to expand Medicaid under the Affordable Care Act while saying he would support a repeal of the law. His move led to 600,000 state residents gaining coverage.